Half-Life 2: VR is coming to the Oculus and HTC Vive. It is actually a revival of the HLVR mod from 2013 and not a Valve effort. It will have remastered graphics and lighting and new “realistic weapon interactions.” There is an effort underway to get it offered on Stream. The original mod was abandoned due to Valve not keeping up with VR implementation on its Source engine. While it is still playable on old development kits like the Rift DK1, it lacks some of the dependencies that current VR headsets require. The original mod team brought two new members, Marulu and Street Rat, to the team to help with the project. Road to VR spoke to the Half-Life: VR developers about the hurdles of bringing the mod to modern VR headsets. To overcome this project-stopping obstacle, Marulu created a hack that transfers frames to the APIs in the new headsets. He actually created the technique for a different project that he has been working on that he did not disclose but did say was nearing release. However, the hack works to overcome the problem of the current APIs not being compatible with DX9, so they used it. The mod will incorporate the motion controllers so that weapons can be held at any angle and reloading will be done through realistic movements. For example, to reload the revolver, one has to tilt the barrel up to dump out the spent cartridges and then use a quick flicking motion to snap the chamber back into place (see the video below). Right now the reload gestures are unpolished but functional. The team plans to improve them with future updates. 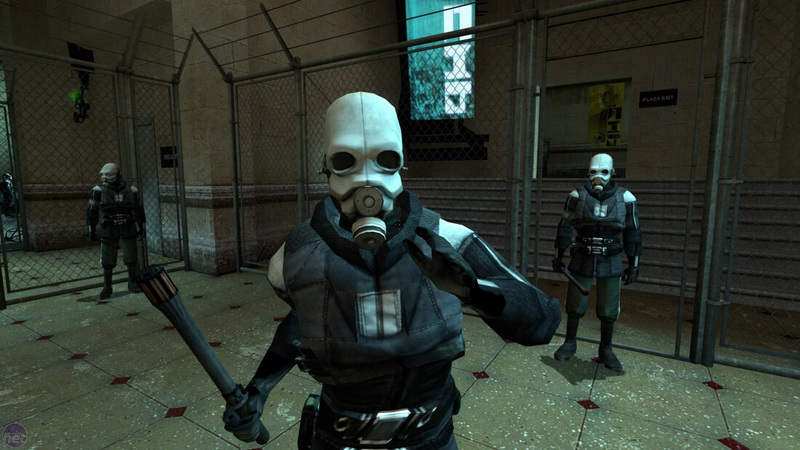 The mod will be offered for free, but it does require Half-Life 2, Episodes 1 and 2, and a Steam account to function. Even though it only encompasses the main HL2 campaign at this time, the mod relies on assets from Episodes 1 and 2. The team said that it does plan on developing E1 and E2 sometime in the future. The only obstacle that was holding it back was Steam support. The developers wanted to offer the mod on Steam for easy installation and support, so they started a Steam Greenlight campaign. The project had so much support from the community that it was Greenlit in just a couple days. According to the Steam Greenlight page, "The community has shown their interest in this game. Valve has reached out to this developer to start moving things toward release on Steam." So you should see it offered in the Steam Store at any time now.